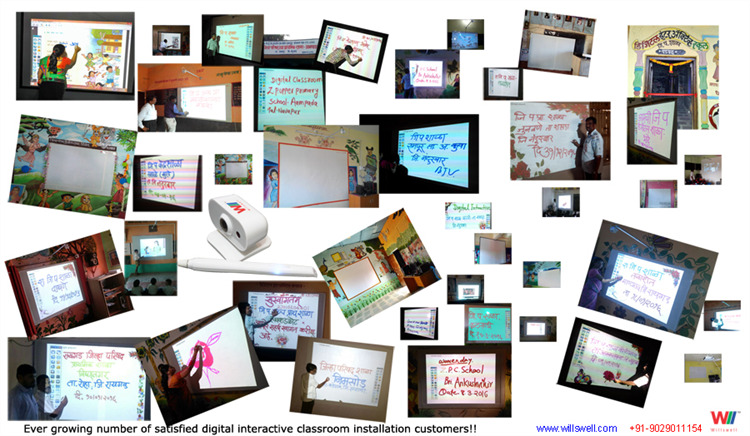 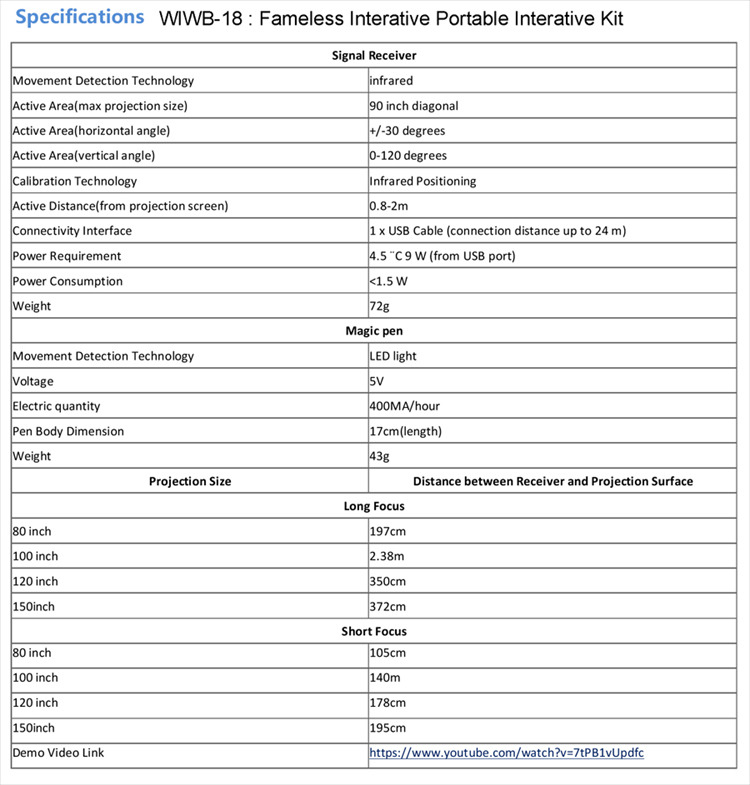 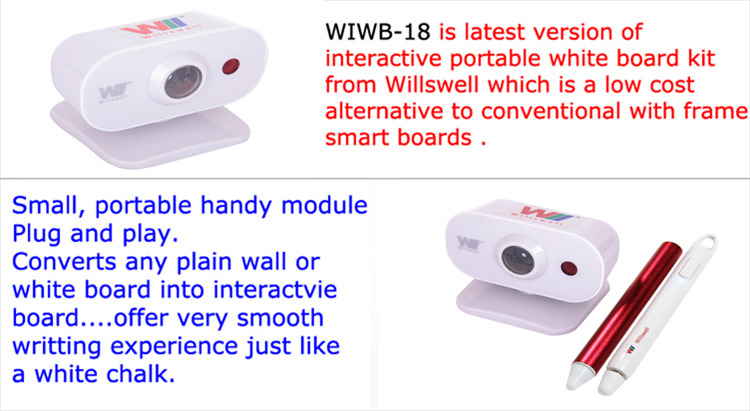 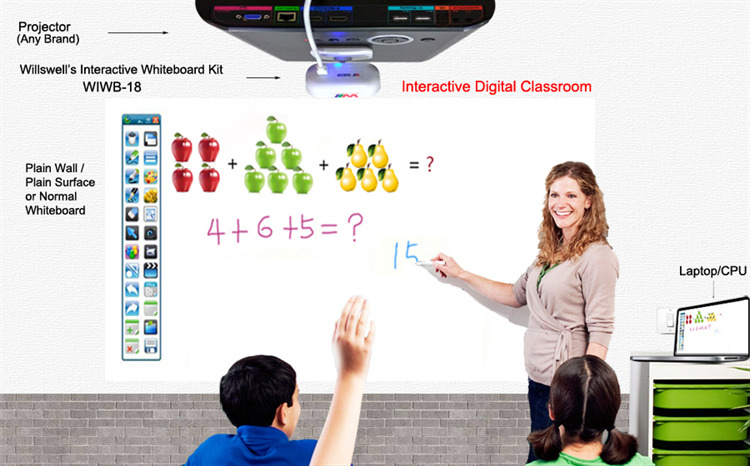 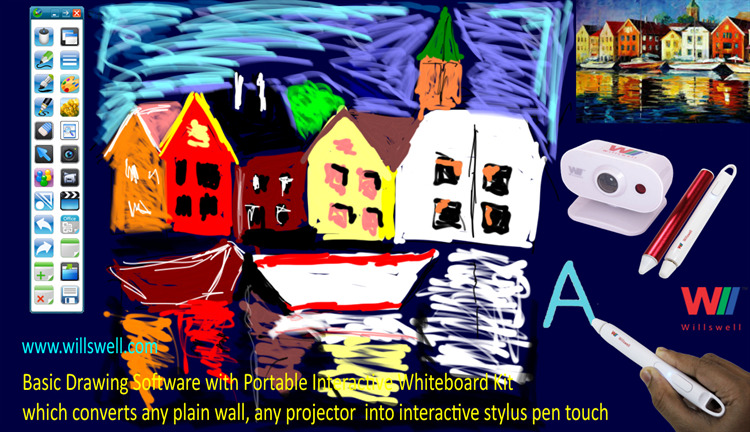 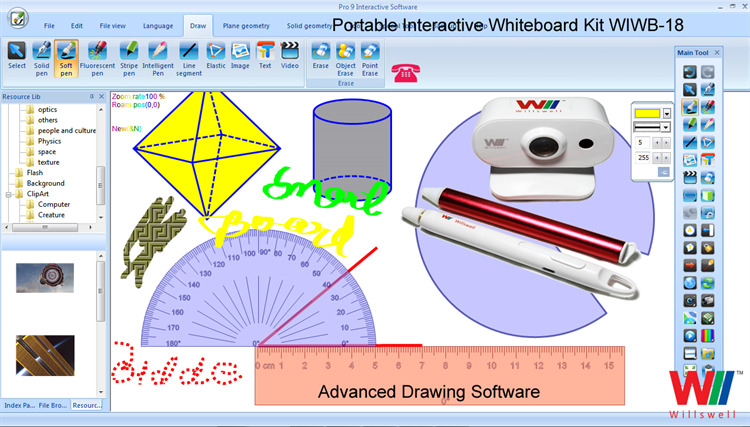 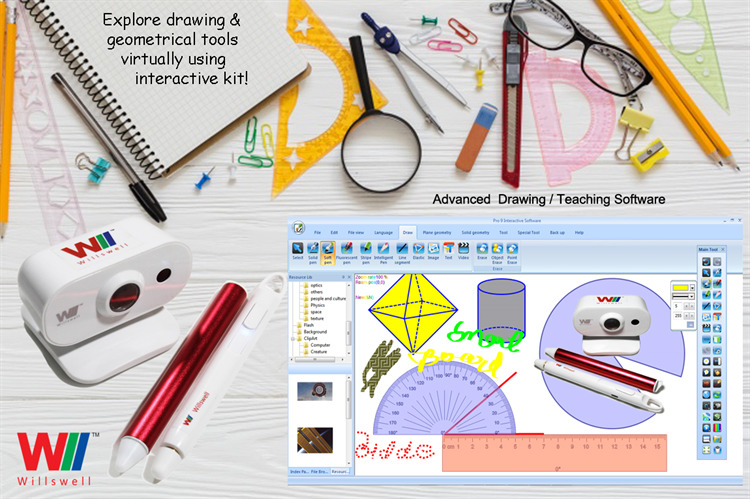 Interactive Whiteboard : WIWB-18L (Long Throw) and WIWB-18S (Short Throw) are a fully featured portable frame-less Interactive Whiteboard devices. 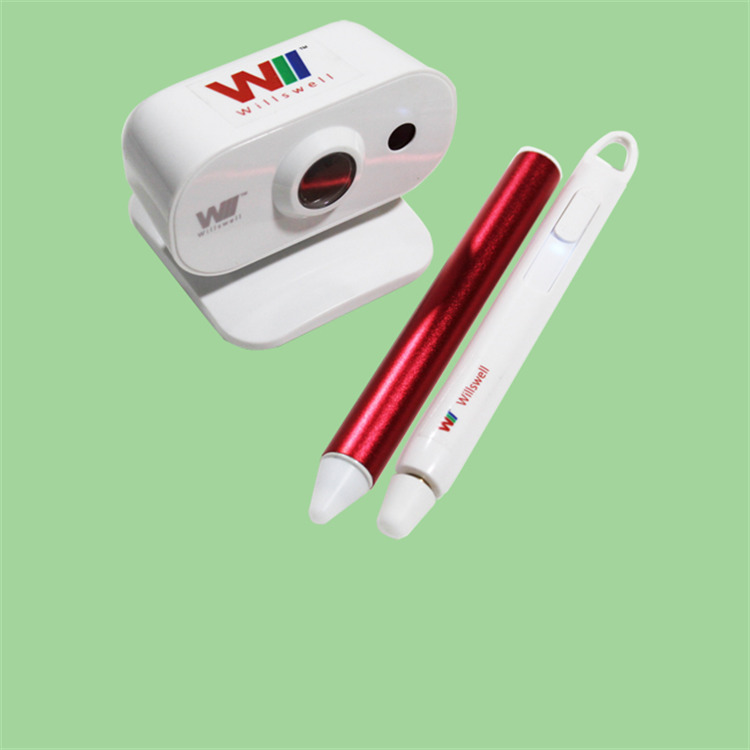 Infrared USB camera based technology which converts any standard whiteboard or plain wall or screen into smart Interactive Whiteboard screen using e-pen Stylus. 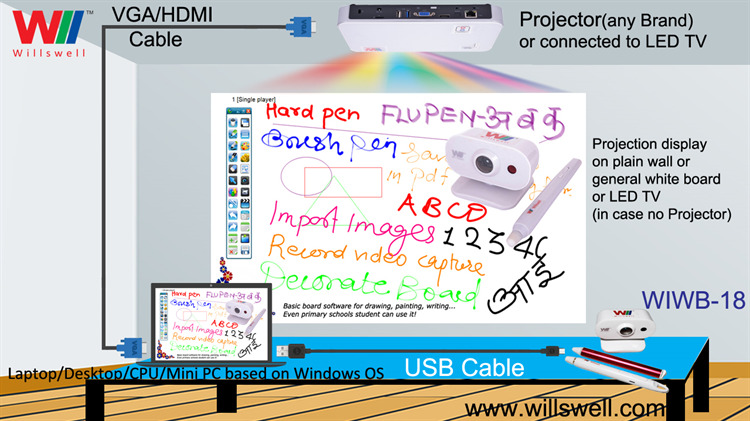 Saves space required by traditional with-frame smart whiteboards, can be used in multiple classrooms. 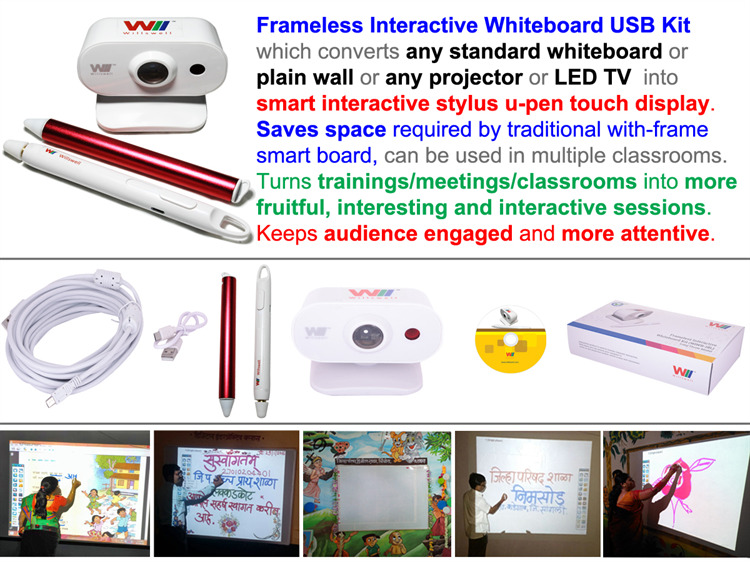 Turns training/meetings/classrooms into more fruitful, interesting and interactive sessions. 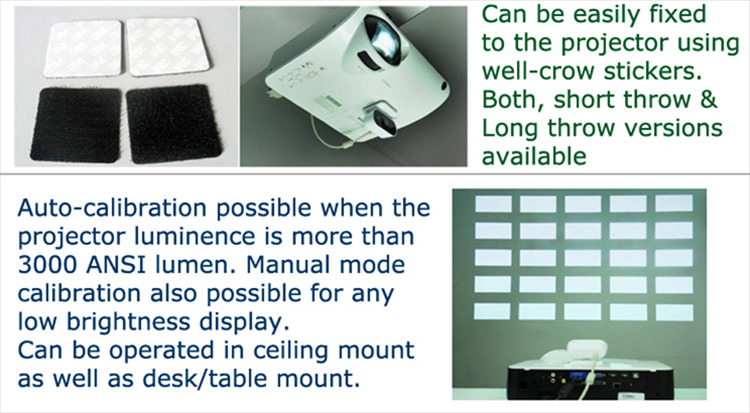 Keeps audience engaged and more attentive. 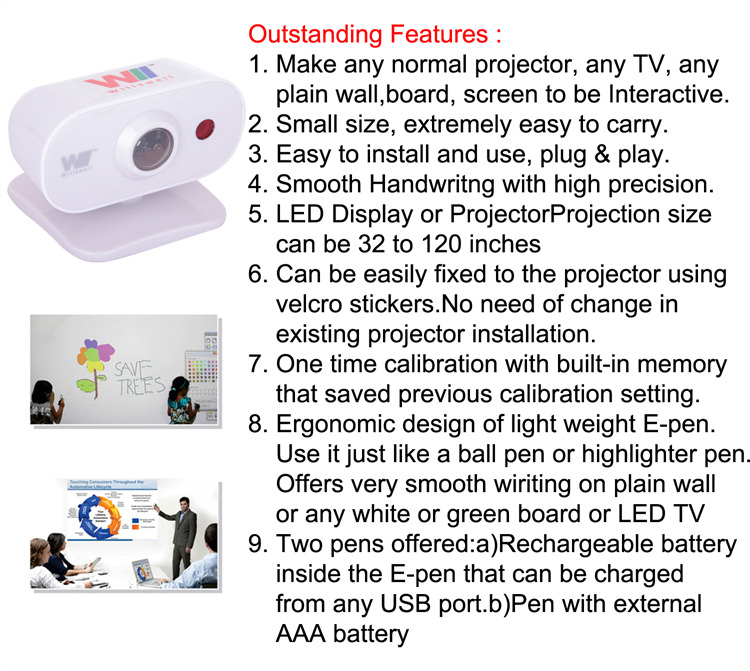 Offers unique features like auto-calibration, previous calibration memory chip, faster writing with minimum optical infrared interference. 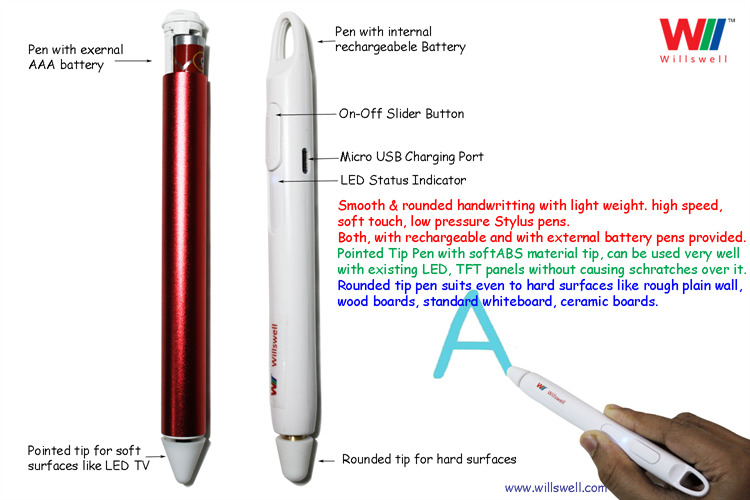 Combined with ergonomics, curved body designed pen, makes your hand more comfortable when writing with it. 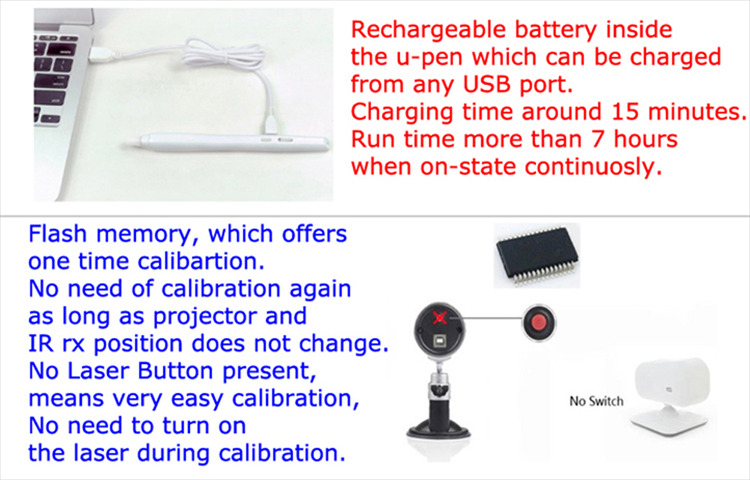 Rechargeable pen with micro USB port for charging and additional e-pen with external AAA battery.Camera resolution is 640 x 480 with 30 fps and 850 nm IR filter.